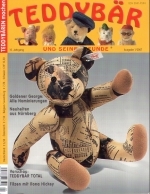 Im Bereich Fach-Presse finden Sie Auszüge aus Pressemitteilungen über das TheaterTeddyTeam und Collector Bears by Annerose Schneider. Die Texte werden aus technischen und redaktionellen Gründen teilweise gekürzt wiedergegeben. 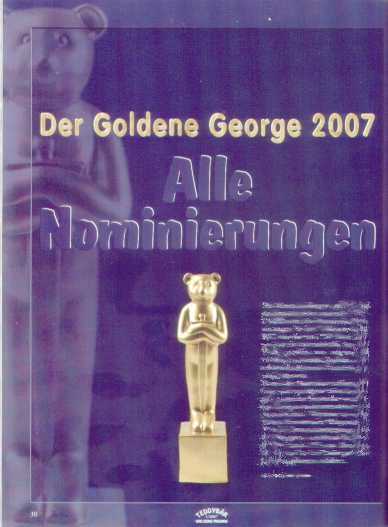 Hier finden Sie alle für den "Golden George" nominierten Künstler mit ihren Bären. Auch wir sind mit einem ganz besonderen Bären in der --Premium Class-- dabei. Seiten 58 - 61 hier klicken. Annerose habite la ville d'Ansbach en Bavière (Allemagne) depuis dix ans avec son mari Klaus et son fils de 13 ans, Florian. Ansbach (proche de Rothenburg) est célèbre pour sa cité médiévale et son style rococo mais aussi... pour le plus grand magasin d'ours de collection : TEDDYLAND. "Annerose préfère réaliser des ours traditionnels aux larges pattes, aux gros ventres et bosses dans le dos. Depuis sept ans, elle fait partie d'une troupe de théâtre semi-professionnelle. Elle joue Shakespeare, Schiller et lonesco. Elle pratique aussi les danses du XVIlle siècle, sa passion. Elle a commencé à faire des costumes de scène et cela lui a donné l'idée de confectionner les mêmes costumes pour ses ours. Lorsqu'elle était enfant, elle était fascinée par l'histoire du Moyen Âge. Ainsi, elle s'est mise à visiter des marchés médiévaux. Â l'un d'eux, elle rencontra Roger Stenke, un spécialiste des vêtements du Moyen Âge en cuir. Ensemble, ils créèrent leurs premiers chevaliers-ours pour le Championnat Européen dans la catégorie "ours habillés". Ils essaient d'être le plus authentiques possible en lisant des livres sur ce thème et en visitant de nombreux musées." A handsome teddy has lived it up in no less an exclusive than America's White House. 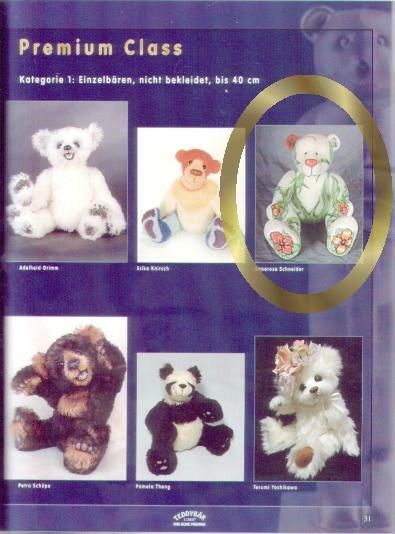 Knowing of Bill Clinton's affection for beary buddies, a few years ago, award winning German bear artist, Annerose Schneider, made a bear in historical Franconian costume and sent him to The President, with whom she shares the same birthday, August 19. And wasn't she thrilled to receive a very friendly hand signed letter of thanks from the then president. 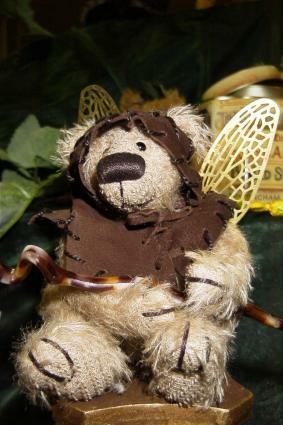 It was the icing on the cake for Annerose who specialises in dressed bears with an historical theme. Triple sewn by hand, they are made to last, and in time will no doubt become cherished family heirlooms. 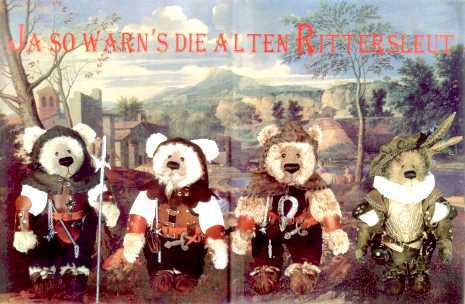 The creator of TheaterTeddyTeam, her unusual medieval style teddies are real scene stealers and in under 5 years she has become firmly established in her native Germany as a popular contemporary bear artist with a growing following. What a show. What an atmosphere. What a buzz, We welcomed even more collectors to our Alexandra Palace show in 2000. With exhibitors from all over the world and collectors and buyers from Europe, Japan and the USA. Many exhibitors had put a great deal of time and effort into creating show special limited editions or one off pieces for those visiting. The Wizard of Zandar, by Christine Jenner of Hazelwood Bears, just disappearedinto thin air as soon as the doors opened. 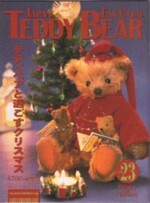 The very first person in the queue was Debora Chin, who had made bears to the pattern I did for issue 42 (May/June 2000) of Teddy Bear Scene Magazine. She brought her bears to show me which were jolly good and she spend the whole day shopping for her nextBear", Christine told us. 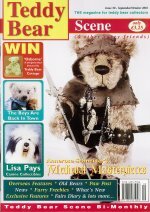 Thimoteus was one of medival type dressed bears from German Bear Artist, Annerose Schneider of Theater TeddyTeam. Her unusual, fairly like bears, danced off the table and were extremly well received by collectors.